Four people have now been confirmed dead of the deadly Ebola virus in Sierra Leone, after several months of confusion as to whether the virus had spread from neighbouring Guinea into Sierra Leone. News of the four deaths were confirmed by the World Health Organisation (WHO) yesterday in a statement. It says that; “The World Health Organization was notified on May 25, 2014 of an Ebola virus disease outbreak in Sierra Leone. Preliminary information received from the field indicates that one laboratory confirmed case and four community deaths have been reported from Koindu chiefdom. “This chiefdom shares border with the current Ebola virus disease hotspot Guéckédou in Guinea. 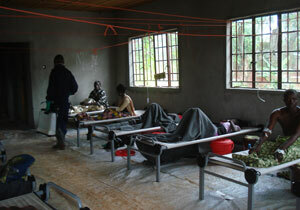 The laboratory analysis of the case was done at the VHF laboratory in Kenema, Sierra Leone. 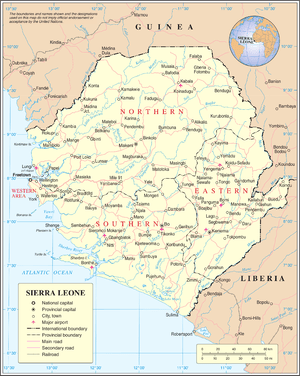 “While waiting for additional epidemiological information, the following measures have been initiated by national authorities with support from WHO: meeting of the national emergency Ebola task force to discuss the current situation and proposed preventive and response to be implemented immediately; deployment of a team to the field to conduct epidemiological investigations and initiated preliminary response measures and development of funding proposals based on the existing national EVD preparedness and response plan. 1. Ebola is a severe infectious disease that kills BUT can be prevented. 2. Go to a health facility immediately if you have a sudden fever or diarrhoea or vomiting OR you have recently come into direct contact with wounds or body fluids of an infected person. 3. Ebola treatment is free in all government health facilities. 4. Help prevent Ebola by reporting all suspected cases immediately to the nearest health facility. 5. Do not share sharps such as needles, razor blades etc. 6. Avoid eating wild animals especially monkeys, chimpanzees and bats. 7. Avoid eating fruits that bats or wild animals have partly eaten (bat mot). 8. Do not eat any animals found dead. 9. Handle patients with care and use protectivewear like gloves, glasses and masks. 10. Wash hands with soap after touching sick people. 11. Disinfect clothing and beddings of suspected Ebola patients with bleach. 12. The body of someone who has died from Ebola is infectious. If someone has died from suspected Ebola, do not wash their body, limit unnecessary handling and alert a health worker immediately. 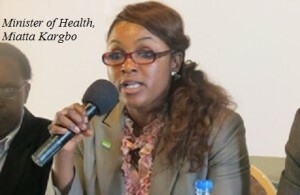 But reports from Freetown say that the minister of health is blaming those killed by the disease for their own demise. Minister Miatta Kargbo is reported to have said that those that contracted the disease must have crossed into Guinea where they became exposed to the virus. Health and sanitation experts believe that there is a high probability of the virus now lurking in the East of the country, near the border with Guinea. This is yet to be confirmed by WHO. Several towns and cities in Sierra Leone at the best of times, find it extremely difficult to cope with public health challenges, with poor levels of sanitation and lack of safe, clean drinking water. Freetown – the capital of Sierra Leone is an overpopulated coastal city, with a population of more than 2 million people, though the city and its infrastructure were designed for 250,000 people. An Ebola outbreak in the capital will be a catastrophe. The government of Sierra Leone says that it is doing all it can to educate people about prevention. But there is a sense, the minister of health is beginning to show signs of inability to cope with this serious challenge. Perhaps its time for her to move sideways and make way for a fresh pair of hands and steady head. Yesterday’s outburst and blame game by the minister of health is a sure sign of things coming apart at the seams, at a time when most Sierra Leoneans would expect the minister to hold her nerve and show strength of leadership. Minister Kargbo ought to be reminded that she is not running a personal enterprise. She is a public servant, paid by taxpayers to save lives and provide care for the sick. Ebola is a deadly virus, which no one would wish on themselves. Those that have died of the virus are unfortunate victims, and the thoughts of everyone – including minister Kargbo, must be with their families and communities at this difficult time.